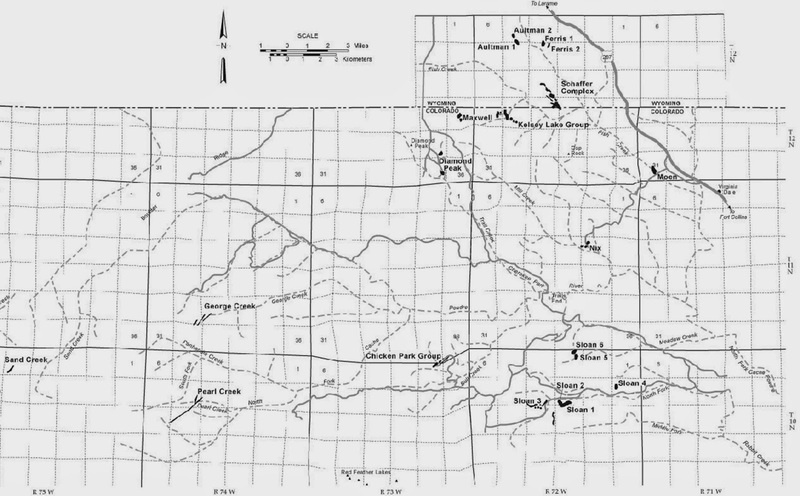 There is evidence supported by geology that the Wyoming province could host a major diamond province. 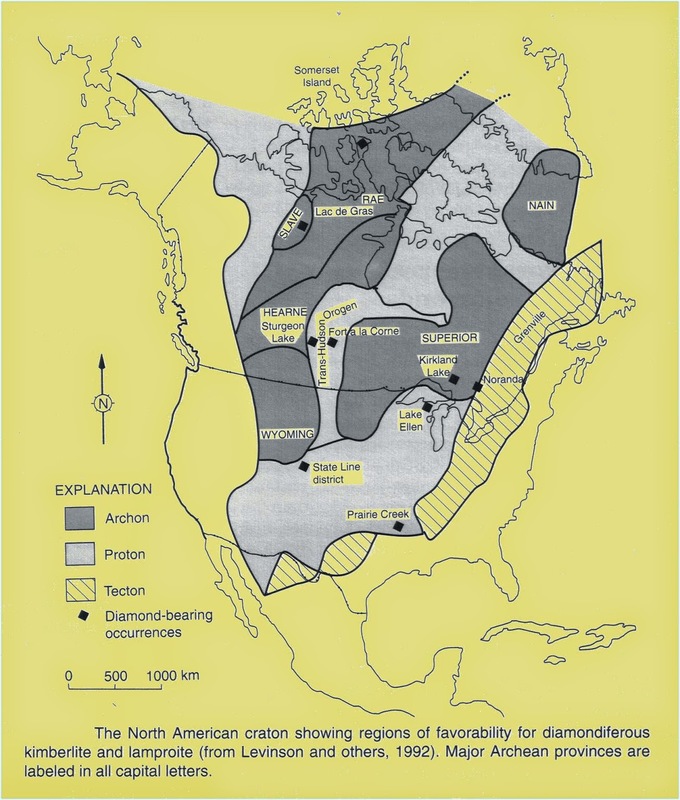 The Wyoming Craton is geologically similar to the Canadian Shield (North American Craton) where many rich diamond deposits sat in the back yard of Canadians until two individuals began to diligently search for diamonds in 1985. 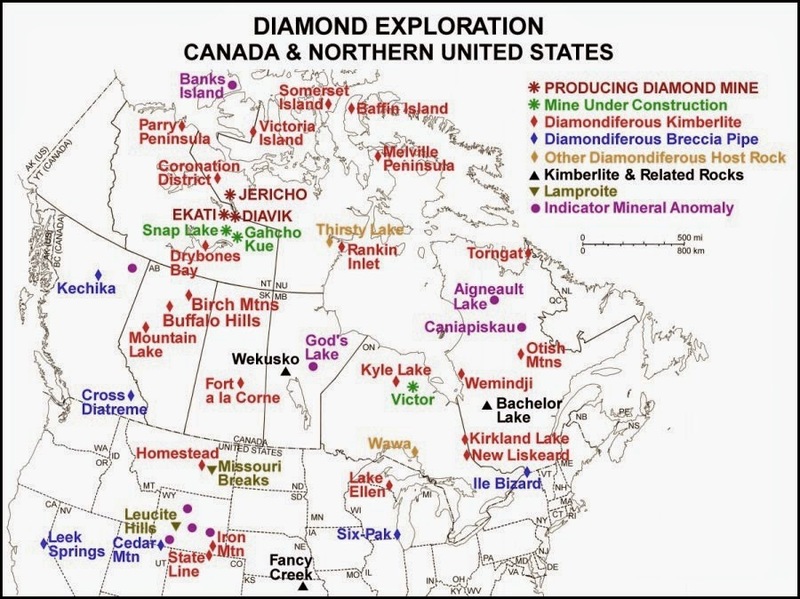 This led to the discovery of the rich Ekati diamond deposits and Canada’s first diamond mine in 1998. The discovery was followed by several other discoveries. 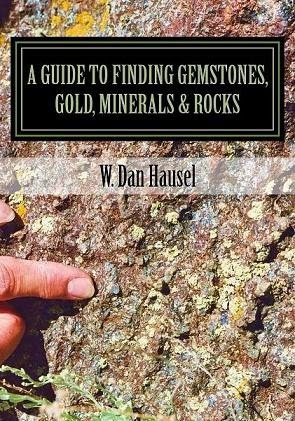 If it wasn’t for those two prospectors – Chuck Fipke and Steward Blussom, geologists around the world would still be wondering where all those diamonds accidentally found in glacial till over the past century came from. So, why didn’t anyone search? Diamonds were found in a group of kimberlites along the edge of the Wyoming Craton in 1975 in both Colorado and Wyoming. Several detrital diamonds were found in the Wyoming Province in Montana in the past and more recently diamonds were recovered in a kimberlite in that region. 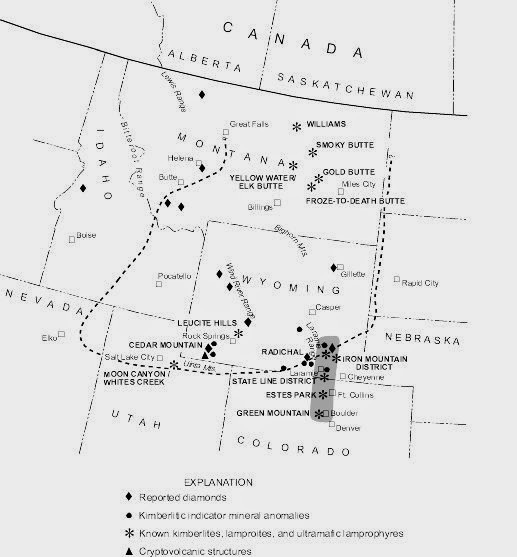 Additionally, kimberlites, lamproites and lamprophyres were found all over the Wyoming Province but these remain a scientific curiosity. Over the next three decades, Wyoming spent essentially nothing compared to the $billions that have been spent in Canada exploring and developing diamond deposits. Yet, hundreds of cryptovolcanic structures of unknown origin remained unexplored and have yet to be drilled in the Wyoming Province. Is the Wyoming Province also a major diamond province? 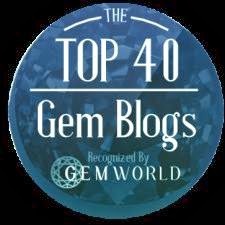 After many years of talking to hundreds of geologists and prospectors about the kimberlites and potential placer diamond deposits, one prospector finally panned one of the many locations suggested by the author and reportedly found a cache of diamonds including one, flawless, 6-carat diamond verified by a university in North Carolina. is more likely to be a kimberlite pipe. Another cryptovolcanic structure of unknown origin – kimberlite? 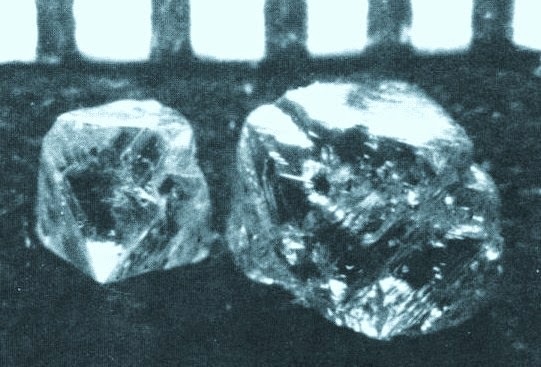 Two excellent quality diamonds found by prospector Paul Boden in 1977.
likely that hundreds of thousands of diamonds occur in the nearby streams. granite with no known carbonate. 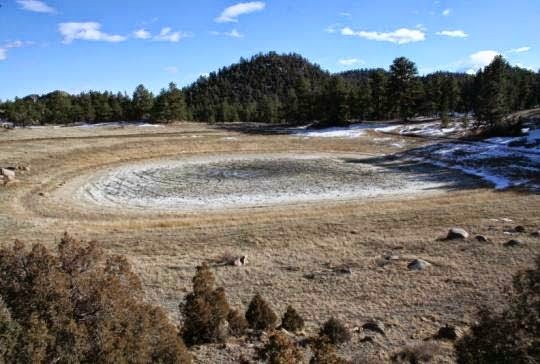 Another cryptovolcanic structure (circular depression) filled with water and surrounded by calcium-carbonate rich soil. The depression sits on granite in Colorado. 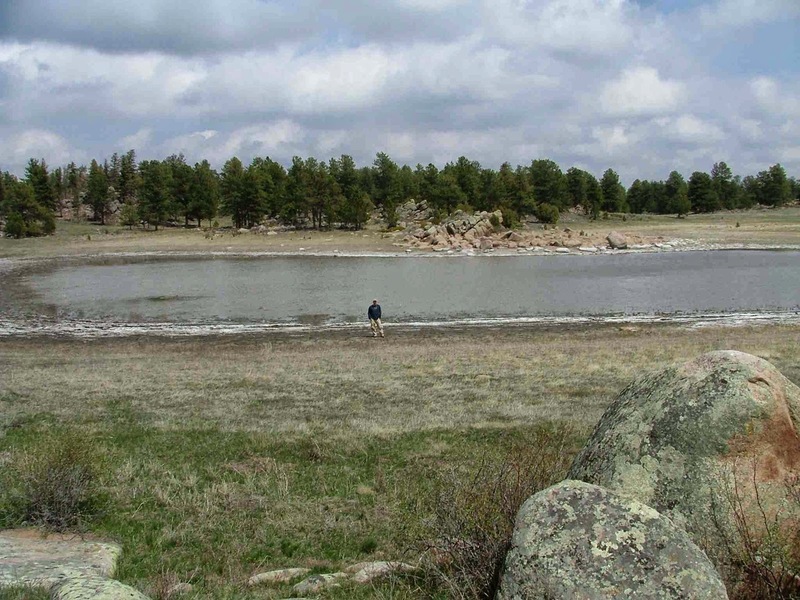 So, is this a kimberlite, an impact depression, or just a lake?